Just a quick post to show what I brought when shopping the other day. I brought them all for my upcoming holiday on Saturday to Weymouth (not very exotic but beautiful none the less) which I am looking forward to, it is always nice to get away to somewhere different from home. It will also give me a chance to take lots of outfit pics which I will share when I get back. Back to the post these are all items I have wanted for a long time and I can wear them all as summer turns to autumn and winter. 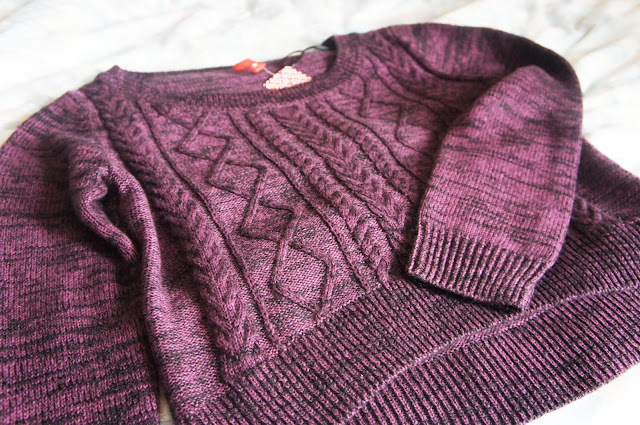 Purple is my favourite colour but I don't own a lot of it so this cable knit H&M jumper is a great addition to my wardrobe. 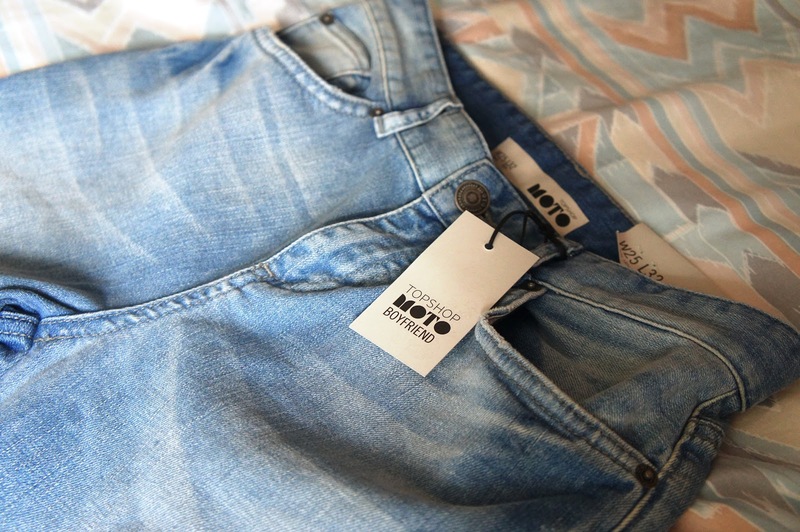 I never thought I could wear boyfriend jeans as I am rather small but these Topshop one's have a high waist and are not too baggy so fit perfectly. 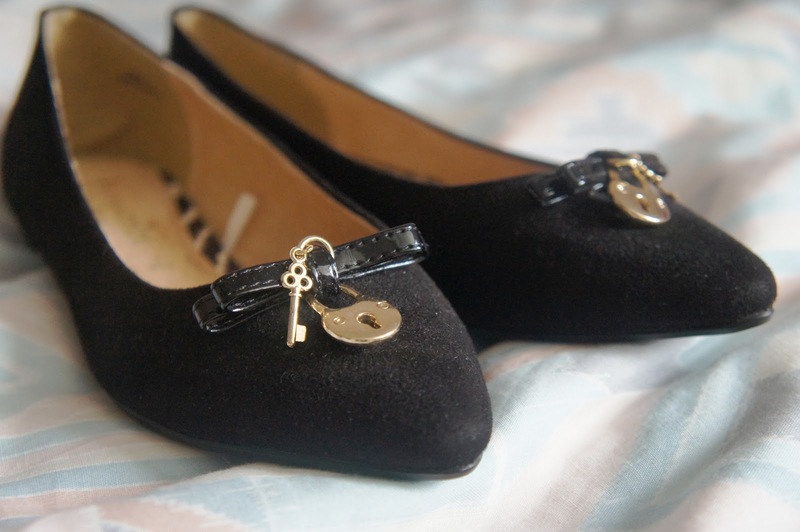 Finally I could not resist these cute pumps from the pointed toe to the tiny lock and key.